China-Asean and China-US relations in the South China Sea have trended in opposite directions since July 12, 2016. On that day the Philippines and Asean set aside the near-term implementation of the South China Sea arbitration award supporting the case against China’s maritime infringements and opened a new chapter in relations with China. China-Asean ties have gradually improved as the two sides have matched word with deed. On July 25, 2016 Asean foreign ministers and China issued a joint statement on the implementation of their Declaration on the Conduct of Parties in the South China Sea (DOC). Both sides have adhered to the statement’s injunction of ‘refraining from [the] action of inhabiting on the presently uninhabited islands, reefs [and] shoals’. On September 7, 2016, the two sides adopted the Joint Statement on the Application of the Code for Unplanned Encounters at Sea (CUES) in the South China Sea. CUES’s safety and communications protocols now serve as a basis for incident responses. At the same meeting, the two sides approved the Guidelines for Hotline Communications in Response to Maritime Emergencies (HCRME), which has been successfully tested. New life has also been breathed into the long-outstanding Code of Conduct (COC) negotiations. 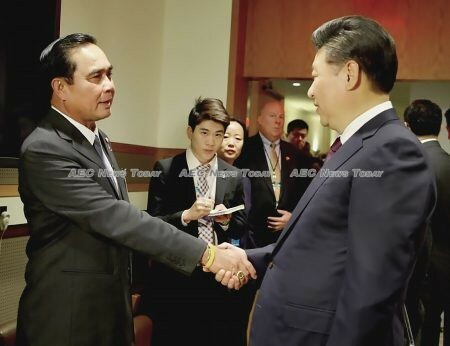 Following the adoption of the framework on the COC in 2017 the two sides reached agreement on a single draft COC negotiating text at the Asean-China Senior Officials’s Meeting (SOM) on June 27, 2018. An inaugural maritime exercise will also be conducted later this year. Indeed, China’s ties with claimant states have taken a turn for the better. Ties with Hanoi are currently stable, Kuala Lumpur is set to procure Chinese-made ships, Chinese attack submarines have made port calls in Malaysia, and a maritime consultation mechanism has been established with Manila. Beijing’s improving ties with Asean are reminiscent of the early phase of its ‘charm offensive’ with Southeast Asia in the early- to mid-2000s. During that period, China and Asean signed the DOC, inaugurated a strategic partnership, and established the SOM format to implement their DOC. China also acceded to the Treaty of Amity and Cooperation. China’s ties with individual countries entered a ‘golden age’, topped off with a joint resource exploration project in a then-disputed section of the South China Sea. China-US relations in the South China Sea on the other hand, continue to tread water. China’s construction of artificial islands in 2014 and 2015 was the key tipping point. 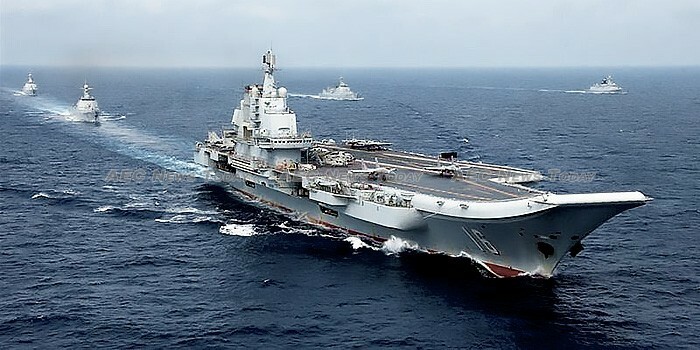 In Washington’s eyes, Beijing’s military capabilities on these features exceed self-defence requirements and the US Navy’s freedom of navigation operations (FONOPs) are the least escalatory response. They should be judged as an act of restraint — not provocation. Going forward, China is to be barred from participating in Rim of the Pacific (RIMPAC) exercises until it has “ceased all land reclamation activities in the South China Sea” and “removed all weapons from its land reclamation sites”. 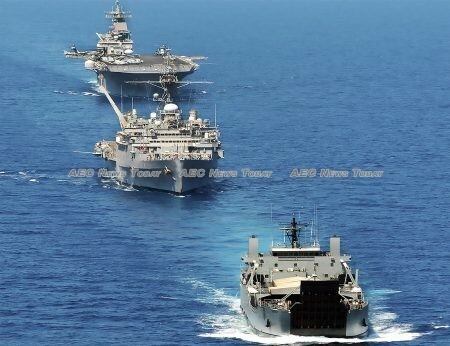 China is, however, participating alongside the United States in Australia’s largest maritime exercise in 2018, the biennial Exercise KAKADU. Washington’s policies matter, but only up to a point. Without an agitated claimant on whose behalf it can claim to be intervening to uphold the stability of the South China Sea, the United States has few tools at its disposal other than FONOPs to assert its relevance. This has been a persistent feature during China-Asean easing cycles dating back to the turn of the century. Asean’s constructive engagement with China and the United States’s relative disassociation bodes well for forward progress on the complex sovereignty-linked disputes in the South China Sea. China has resolved numerous sovereignty-linked disputes along its periphery with countries large and small. A key feature in each instance is that the United States was neither an ally nor key defence partner of that country. With Philippine President Rodrigo Duterte scaling back naval cooperation with Washington, Beijing needs to seize the opportunity to creatively bring its activities on the Philippines’ continental shelf into compliance with the arbitration award. Foremost, the two sides should realise an agreement to explore oil and gas jointly in the Reed Bank area. The deal should be analogous to the arrangement at the Chunxiao gas field on China’s continental shelf in the East China Sea, where Japanese companies are obliged to work with Chinese partners in accordance with China’s constitution and laws. China should also lower the premium it places on good neighbourliness as an implicit condition for cooperating to address sovereignty-linked disputes. It is telling that it is the settlement of such disputes that is the decisive factor for whether China shares stable geopolitical ties with a neighbour. Further, the fast-paced development of ocean law means that the gap between Beijing’s political calculus-based approach and the set of international rules that govern sovereign rights and jurisdiction claims in disputed waters is widening by the day. Beijing must move beyond managing its differences with Asean to resolving them and the functional undertakings under the COC should reflect this approach. Asean and China enjoy a window of opportunity over the next few years to prove that maintaining stability and safeguarding maritime rights in their shared periphery are not incompatible goals. They should seize it. This article was written by Sourabh Gupta, a senior fellow at the Institute for China-America Studies in Washington DC. It first appeared on East Asia Forum under a Creative Commons License and is reproduced here with its permission.